Welcome to Cub Scout Pack 971! members of the Arrowhead District of the Baltimore Area Council, Boy Scouts of America. 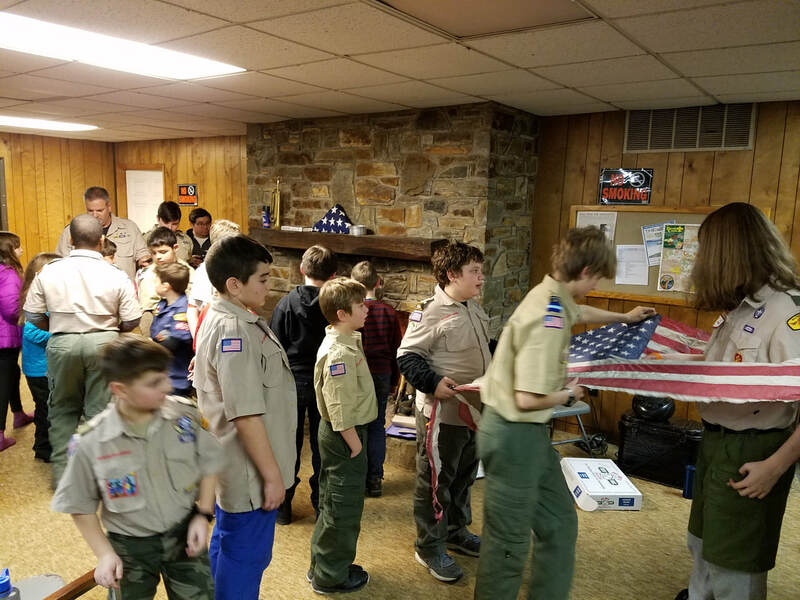 all boys in the area who are interested in joining Cub Scouting. We invite you to see just what scouting is all about! 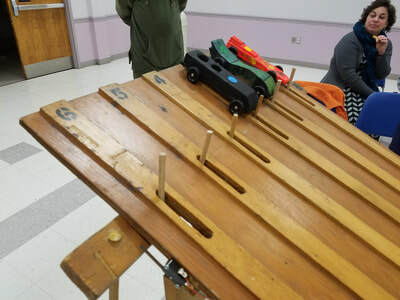 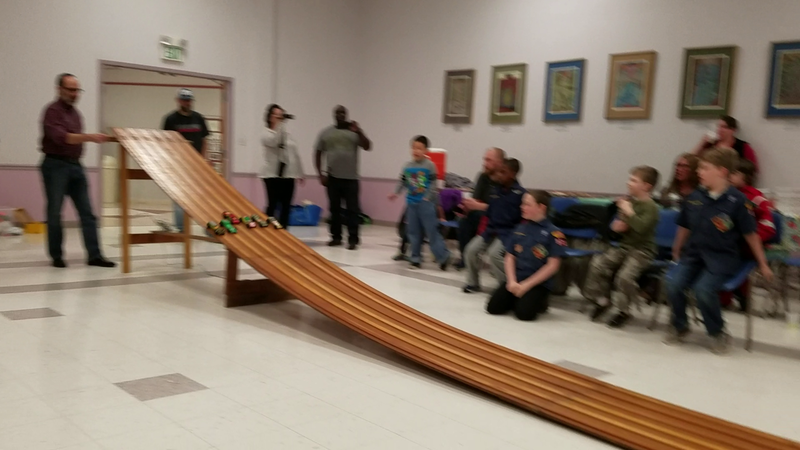 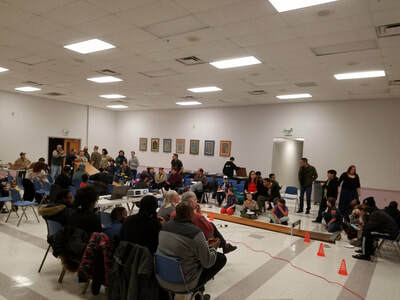 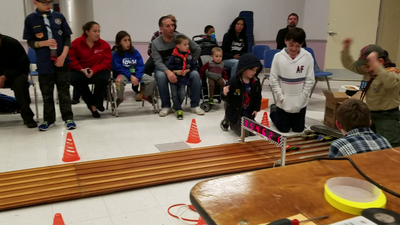 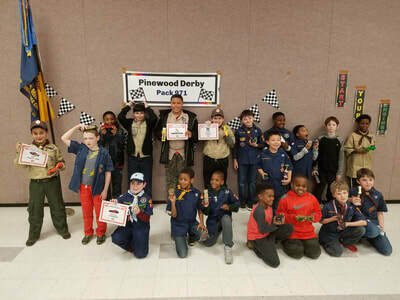 Everyone enjoyed racing their derby cars at our annual pinewood derby! 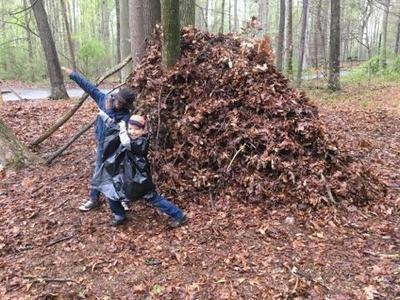 Our Webelos joined the boy scout troop on their cabin camp out. 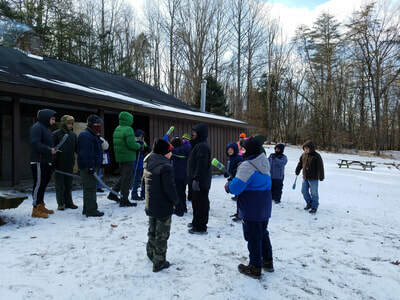 It was a wintery weekend, but scouts know how to stay warm! 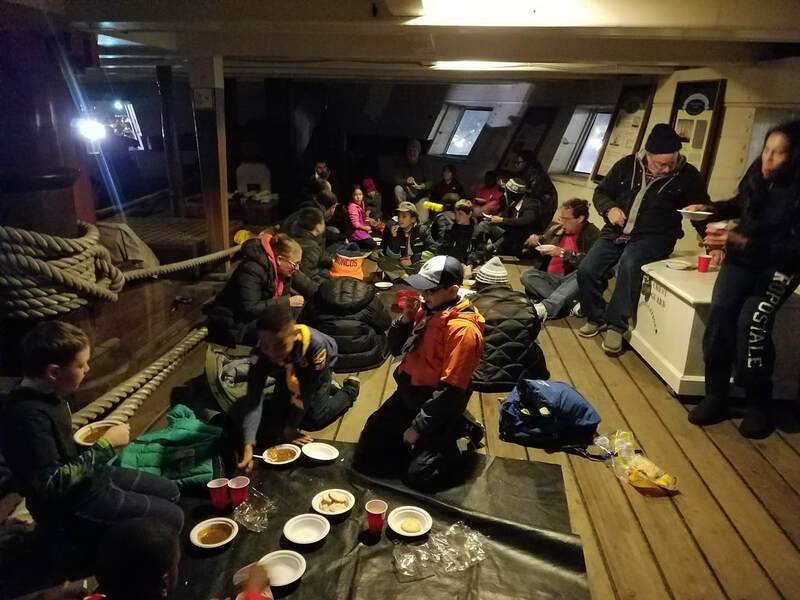 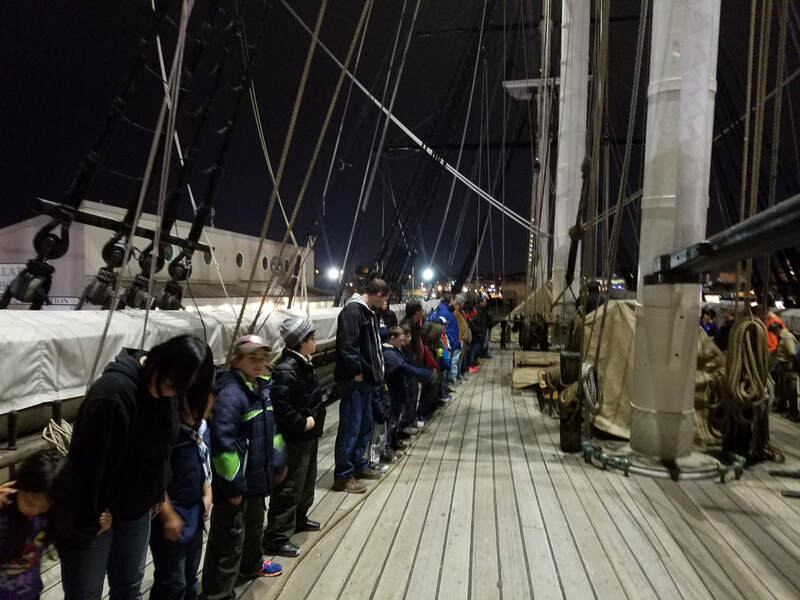 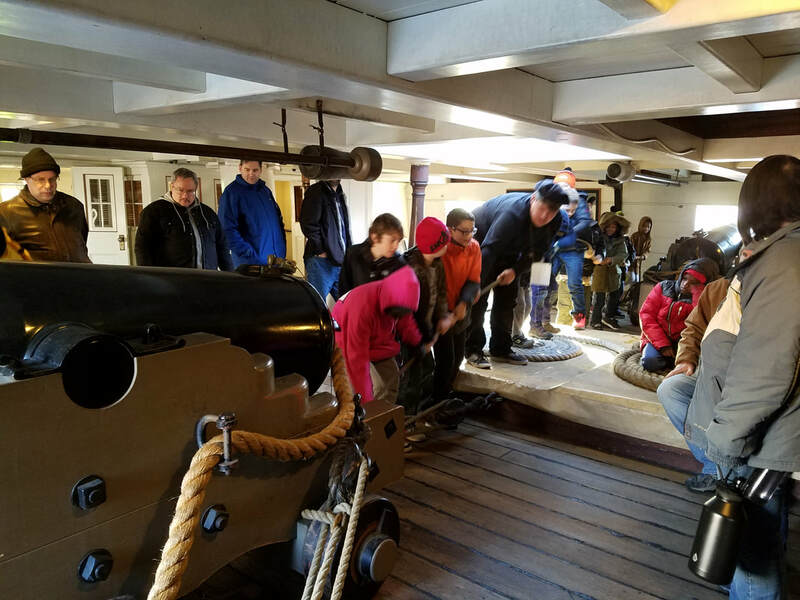 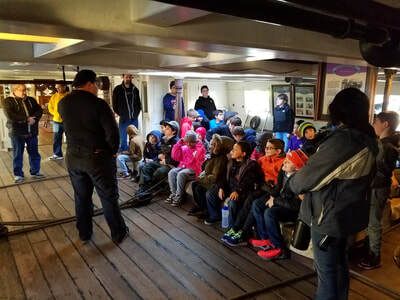 Our scouts had a blast re-enacting life aboard a 19th century sailing ship! 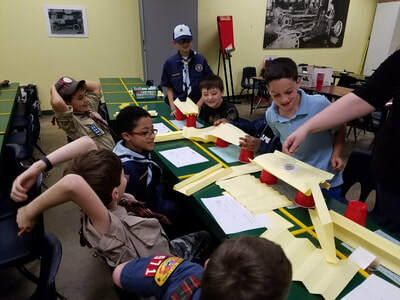 The scouts enjoyed two programs - one focusing on boats and buoyancy and another focused on engineering! 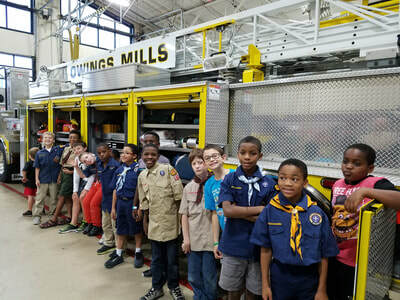 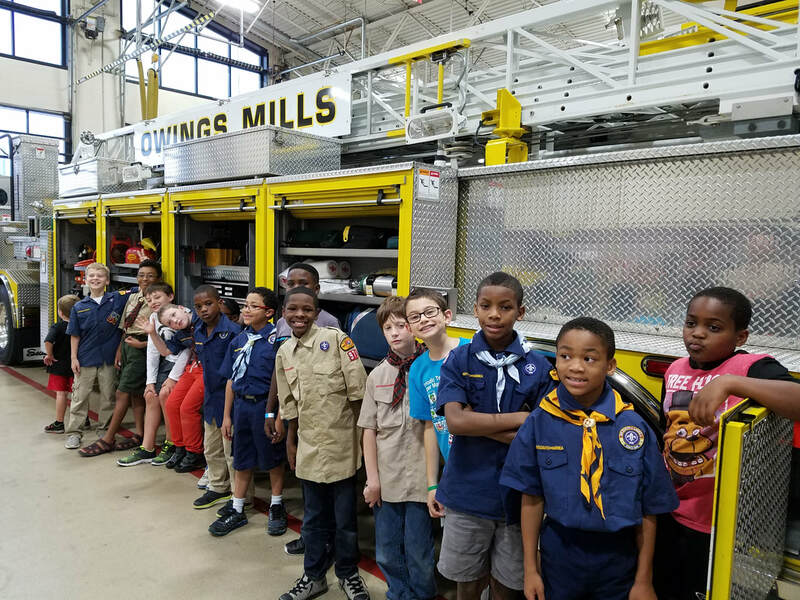 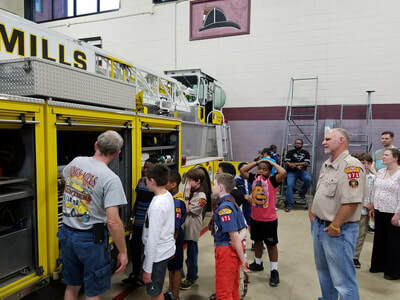 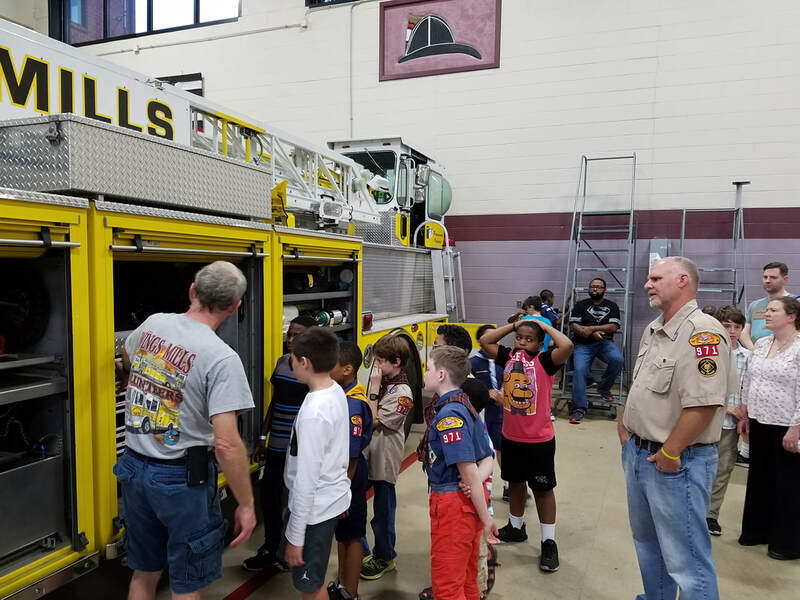 We visited the firehouse again this year for a tour of the station and some Q&A with first responders! 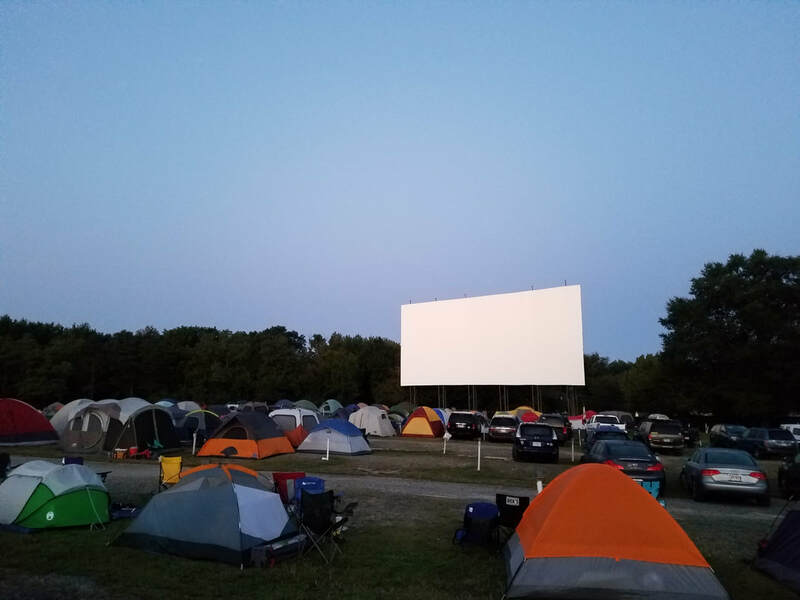 The pack was part of the 6th annual Bengies Drive-in Camp-in! August 13 - Genesee Valley Outdoor Adventure! 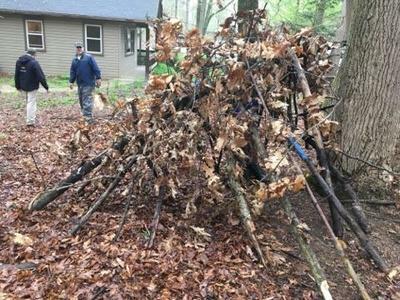 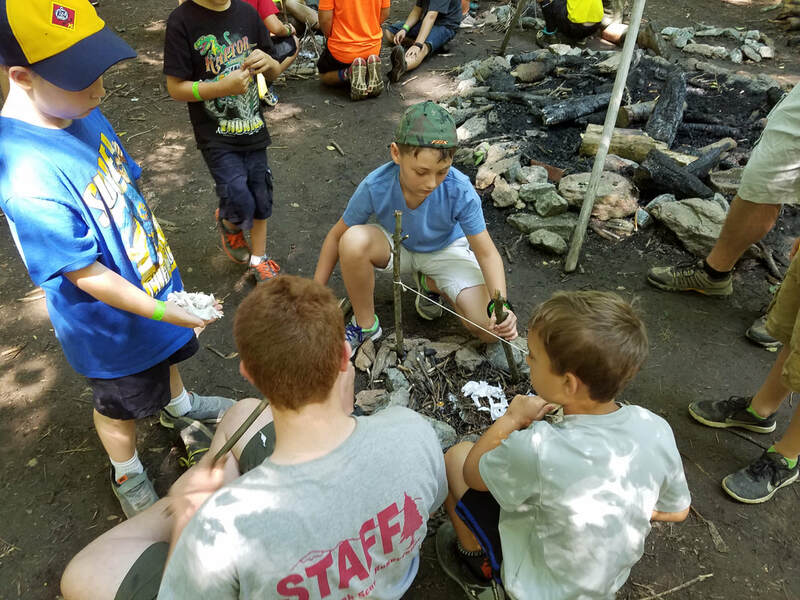 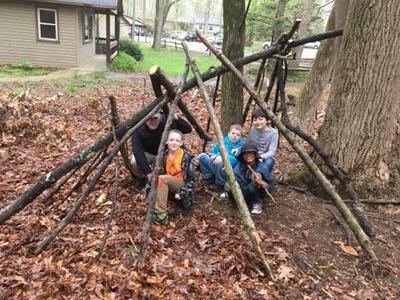 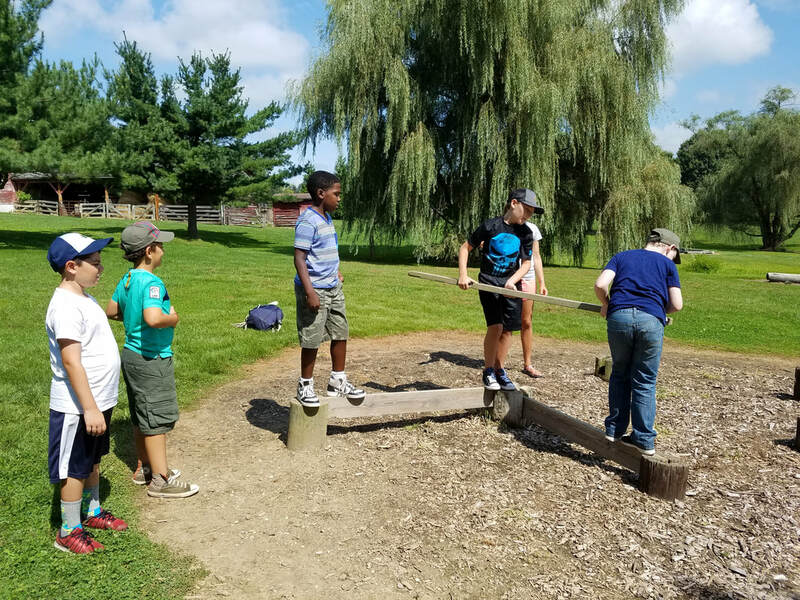 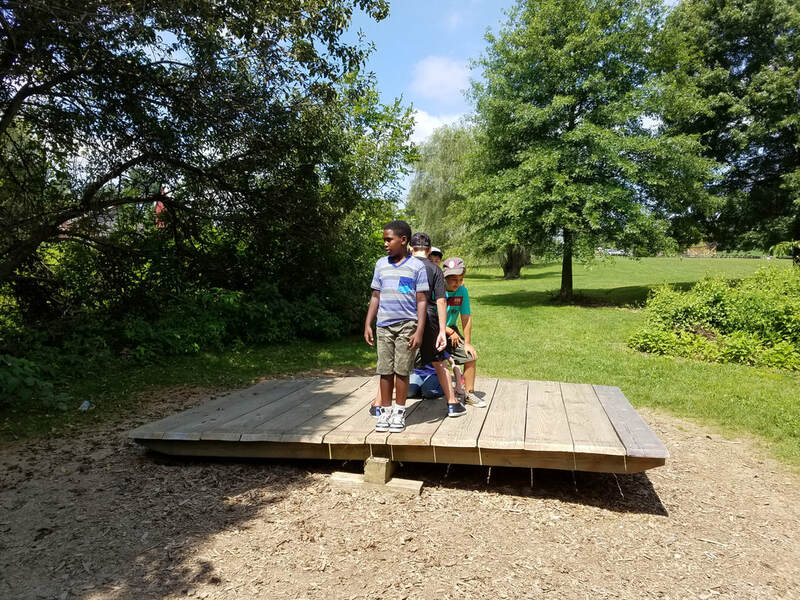 Our scouts challenged themselves to work as a team and solve problems together at the Genesee Valley Outdoor Learning Center. 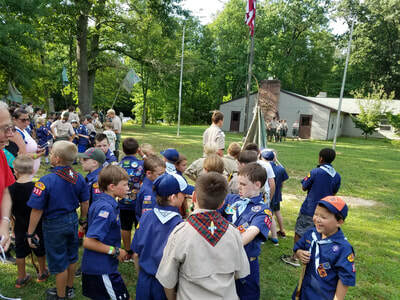 July 8-10 - Cub scout summer camp! 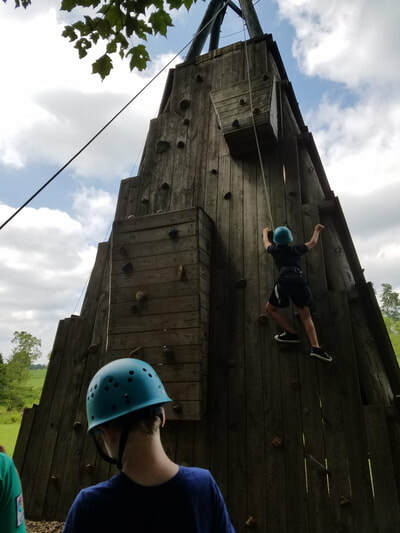 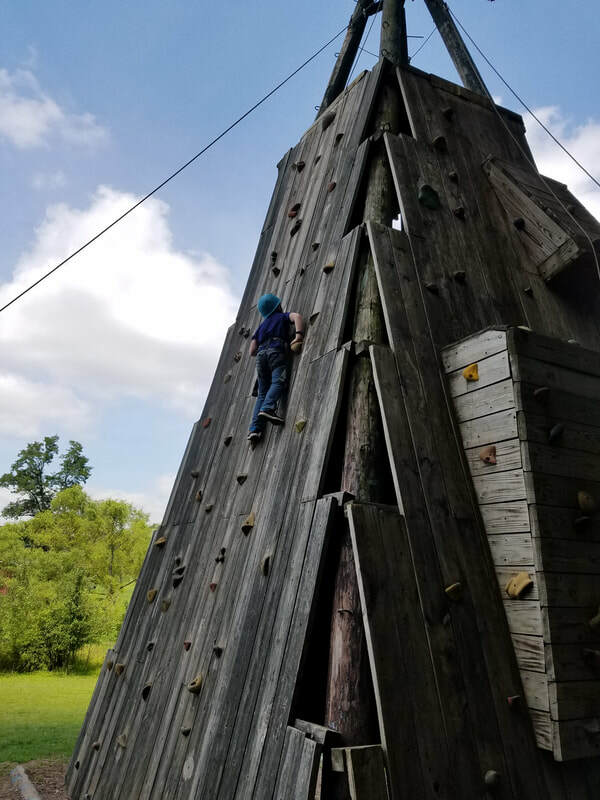 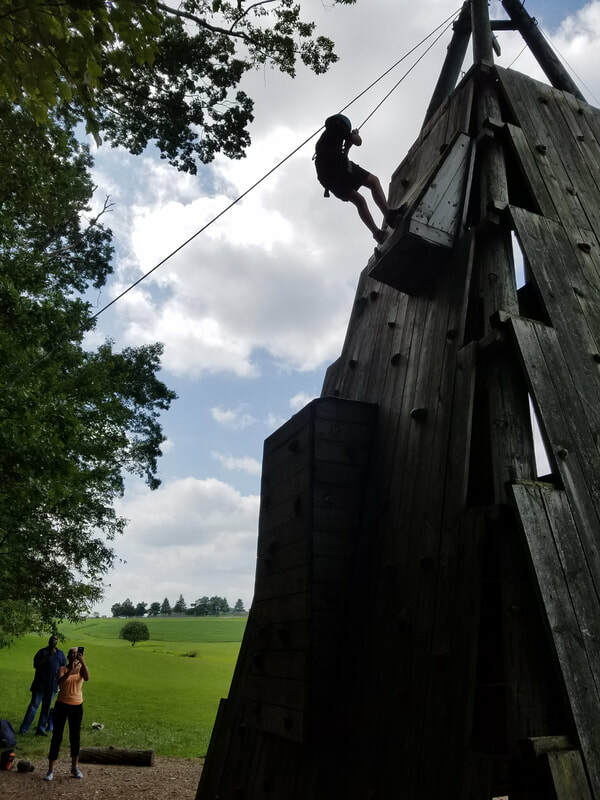 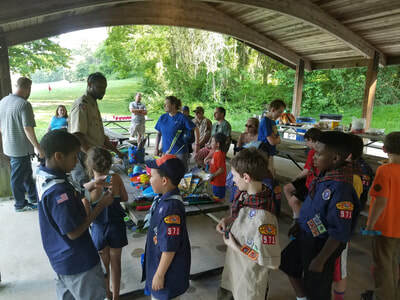 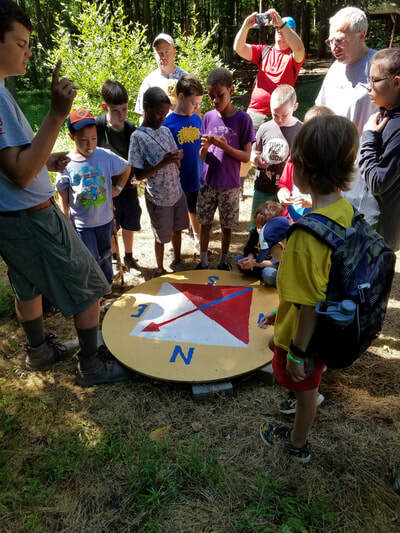 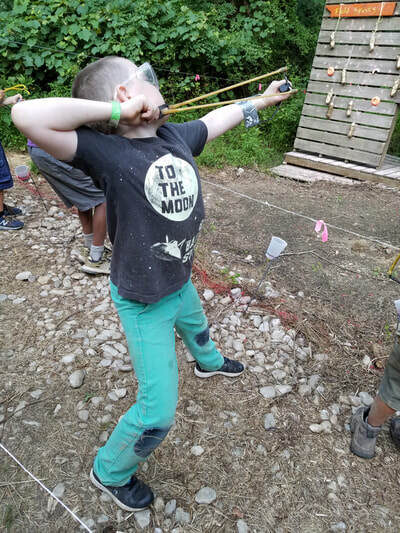 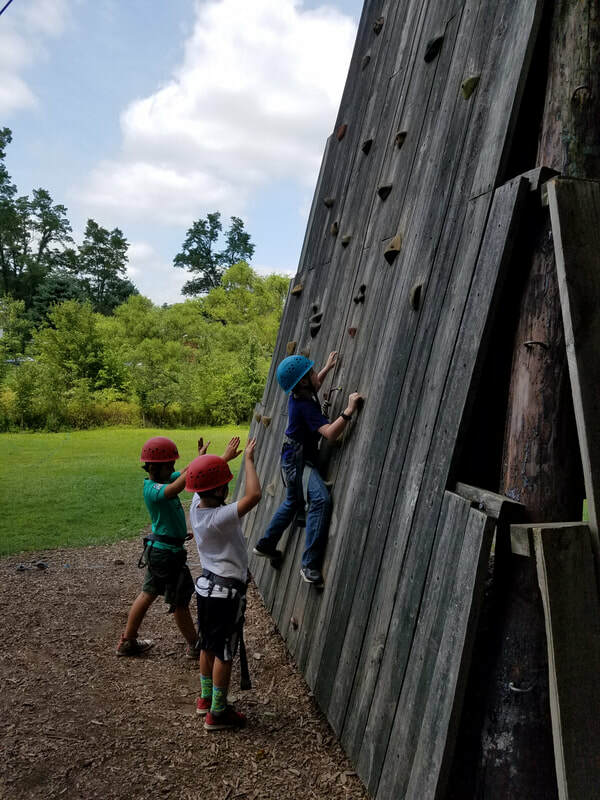 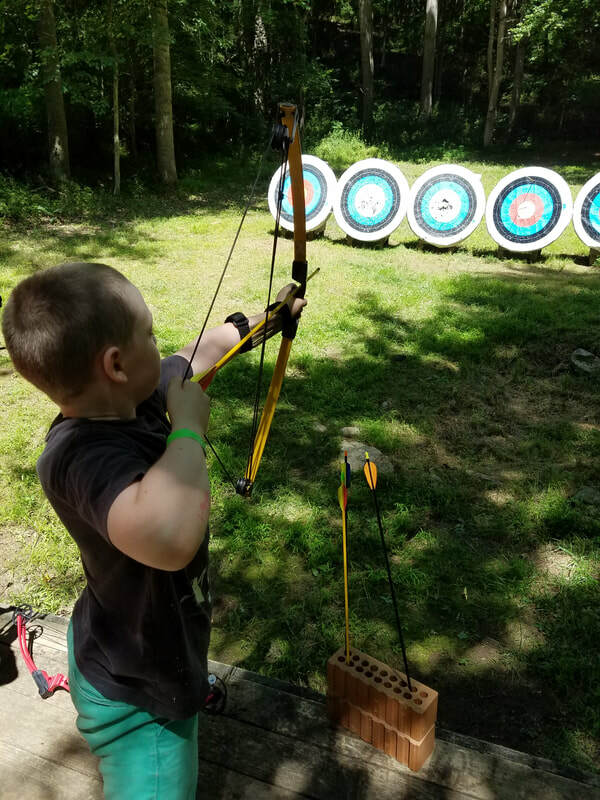 This year we were able to attend cub scout residents camp - everyone had a great time building their scout skills on this unusually cool July weekend! 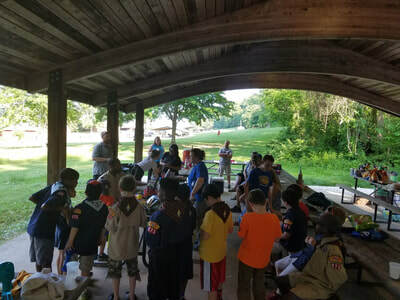 June 11 - Summer Picnic! The scouts played carnival games and enjoyed BBQ on this perfect summer day! 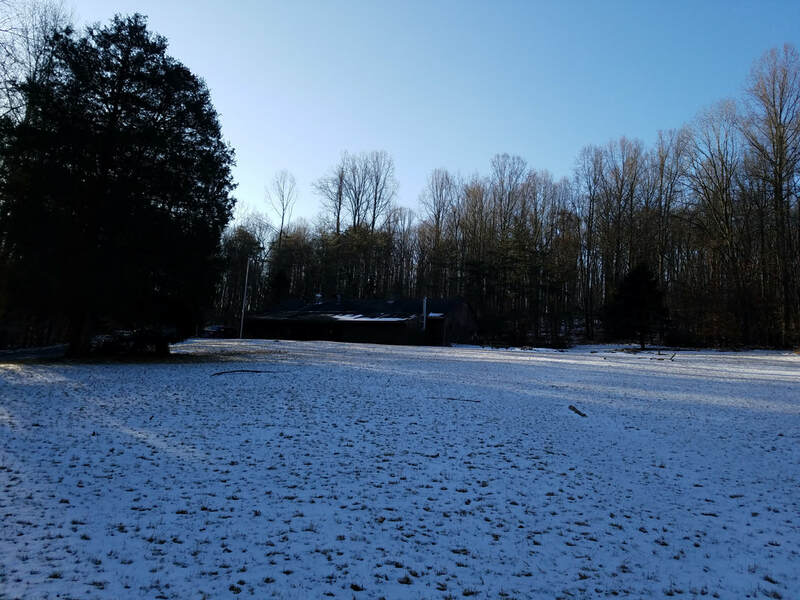 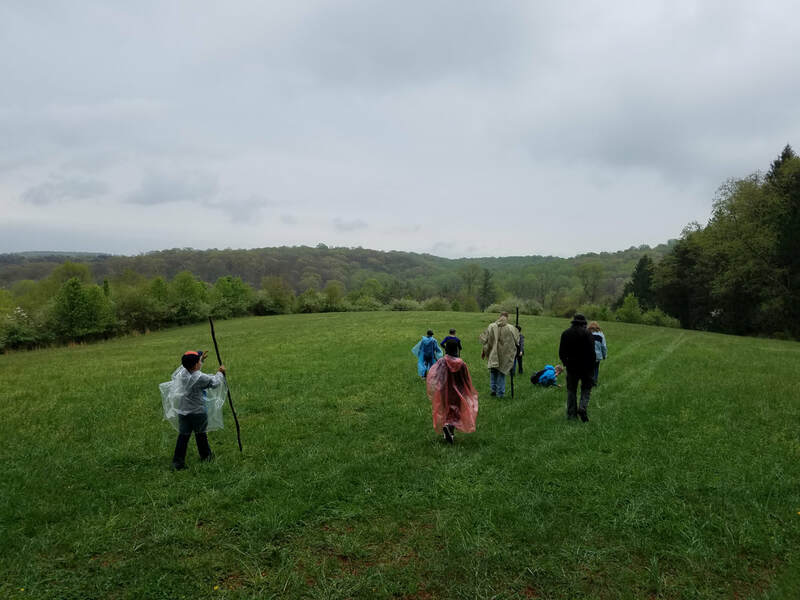 The cub scouts enjoyed a weekend at broad creek scout camp - we went hiking, played capture the flag, build a wilderness shelter, and more! 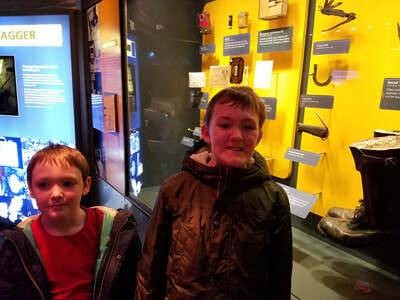 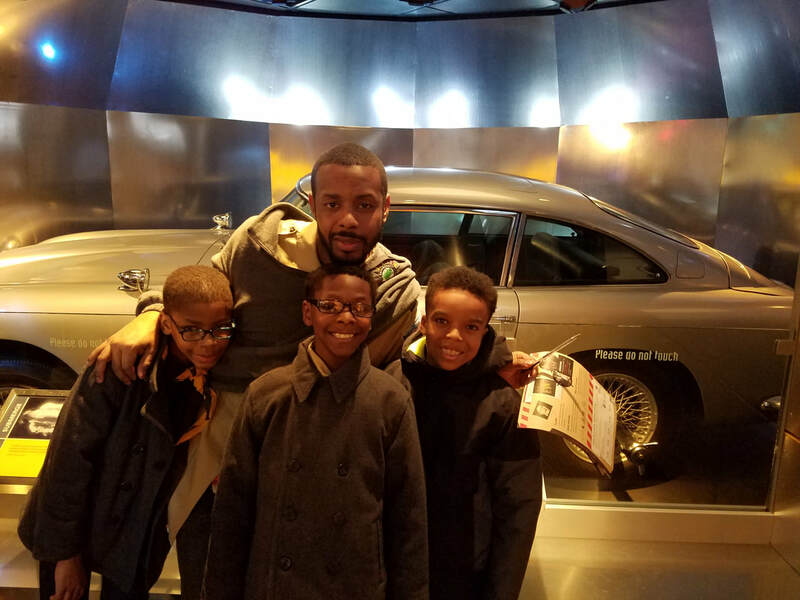 Our scouts had a great time at the international spy museum! 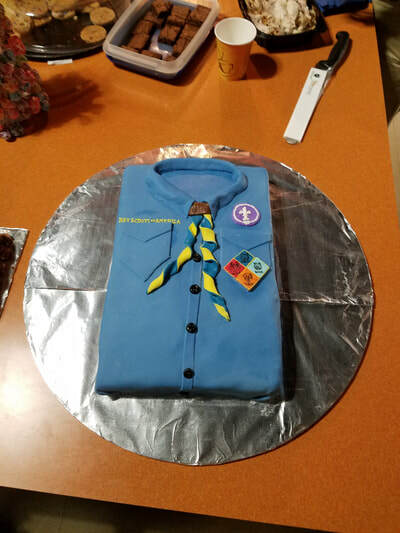 Another boy scout tradition - we celebrate the anniversary of boy scouts once a year. 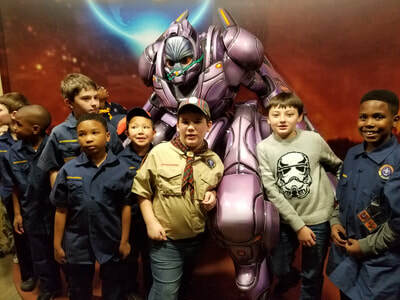 This year we held the banquet at local game computer game maker Firaxis Games! 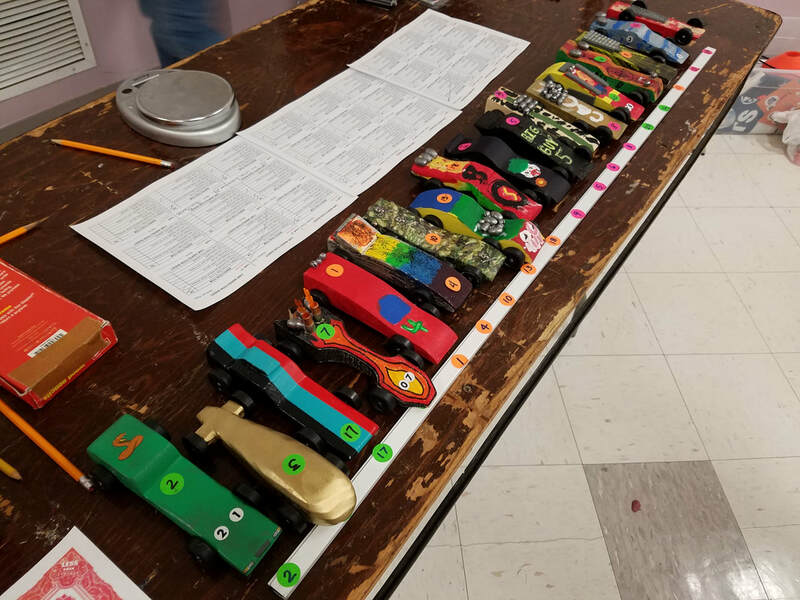 January 29 - Pinewood Derby Race! 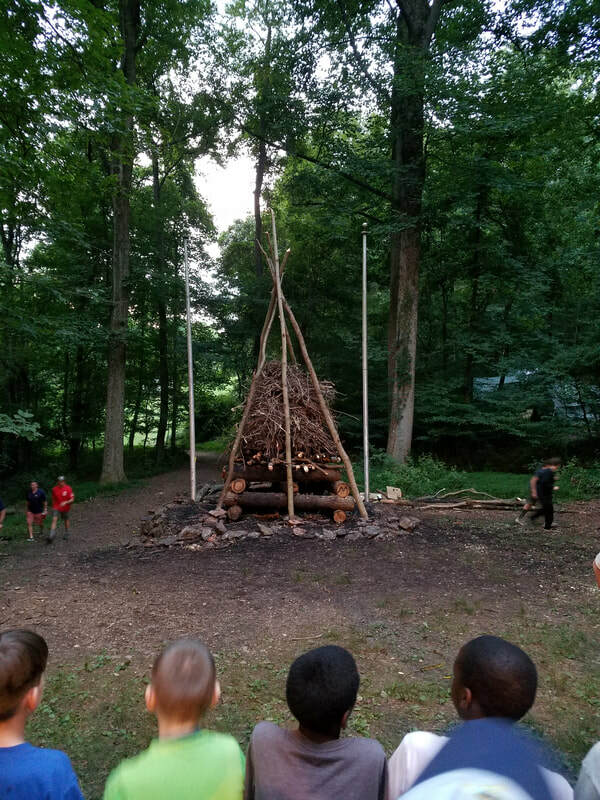 A well loved scout tradition! 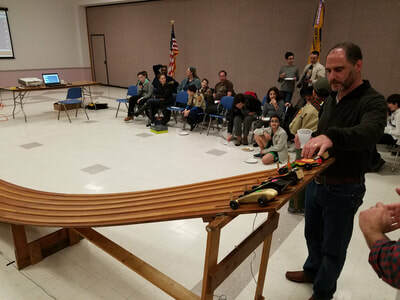 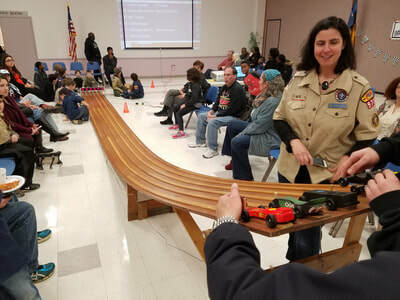 The scouts raced their pinewood derby cars on our new track! 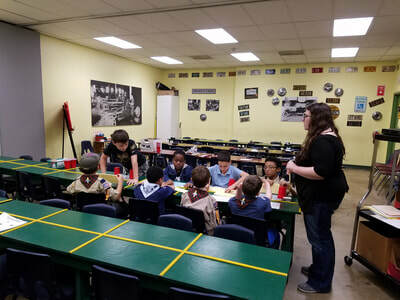 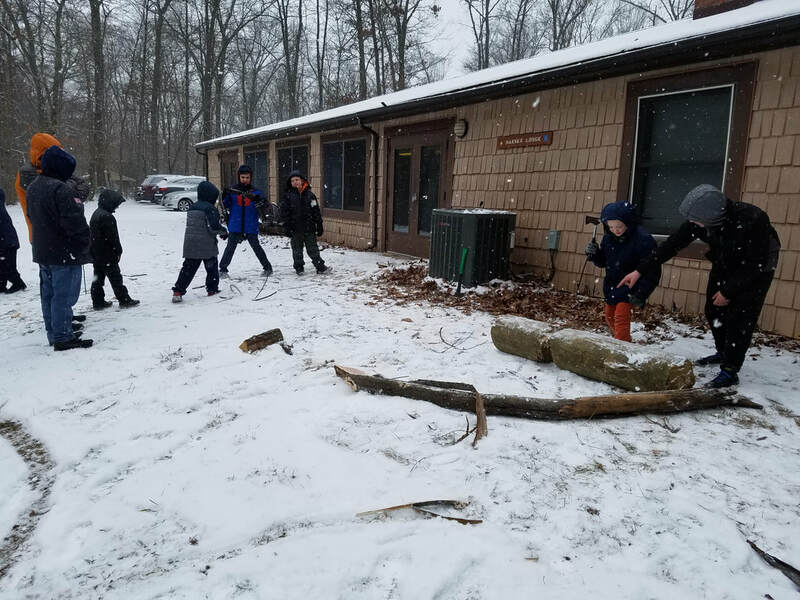 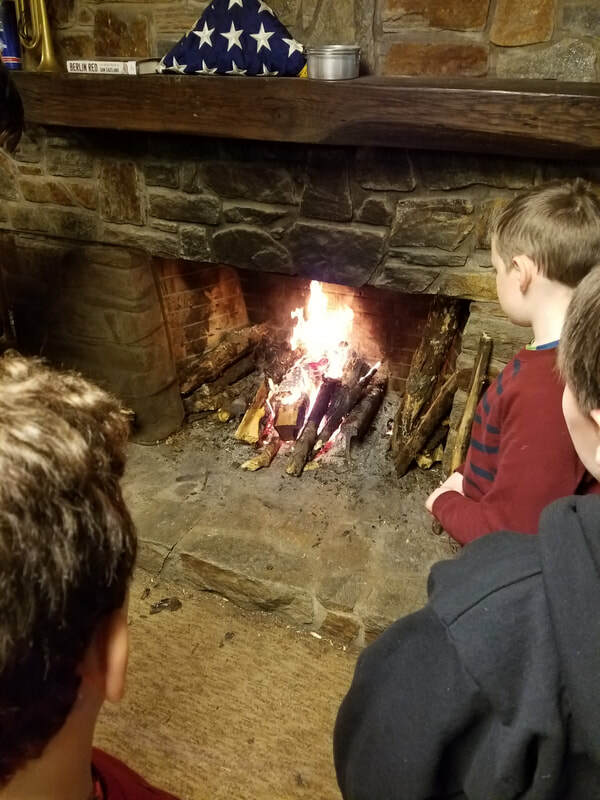 The cub scouts enjoyed spending time with the boy scouts of Troop 97 - learning scout crafts, playing games indoors and in the snow!